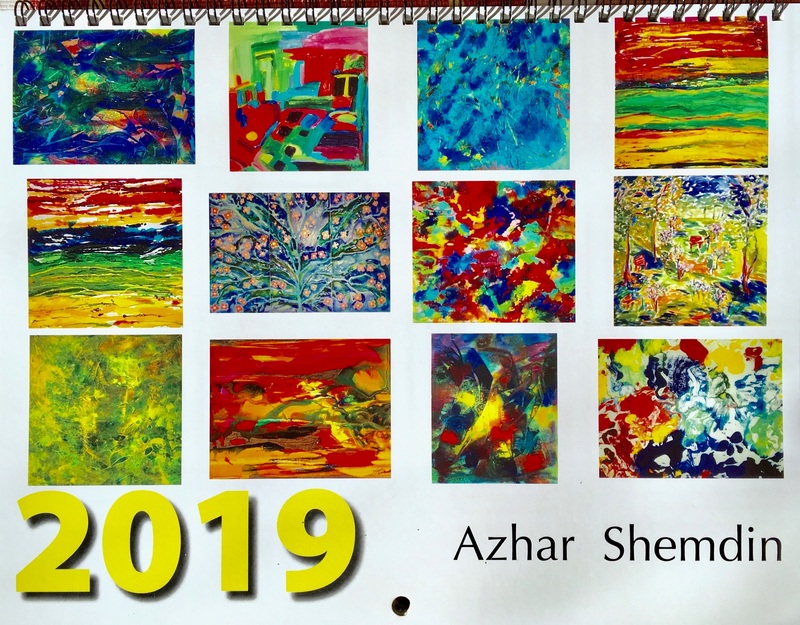 Azhar Shemdin art calendar for 2019 This calendar shows thirteen colourful paintings by Azhar Shemdin, including January 2020. The size of the calendar, when open is 11 inches by 17 inches (28cm by 43cm). The calendar was carefully checked for colour accuracy and approved by the artist on the premises of the printer in Oakville, Ontario, Canada. It is printed on high quality silk card stock with beautiful sheen. This is a limited edition of only 150 copies, each is numbered and signed by the artist.